canned vegetables | Keep It Up, David! You know how you sometimes find things buried deep in your cupboard or pantry, and you don’t remember when you bought them, or why? 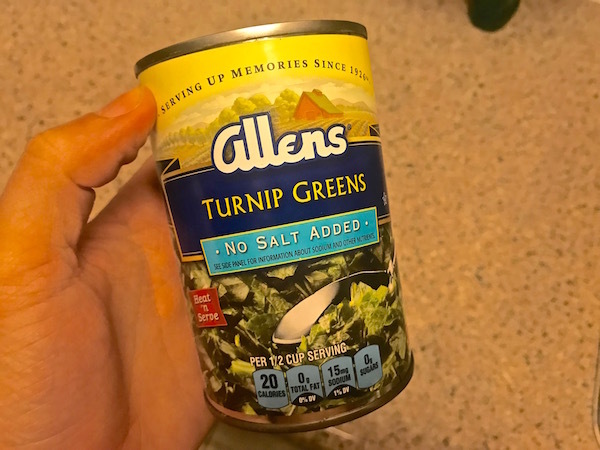 I had one of those moments the other night, when I was looking for something else and stumbled across a can of… turnip greens.